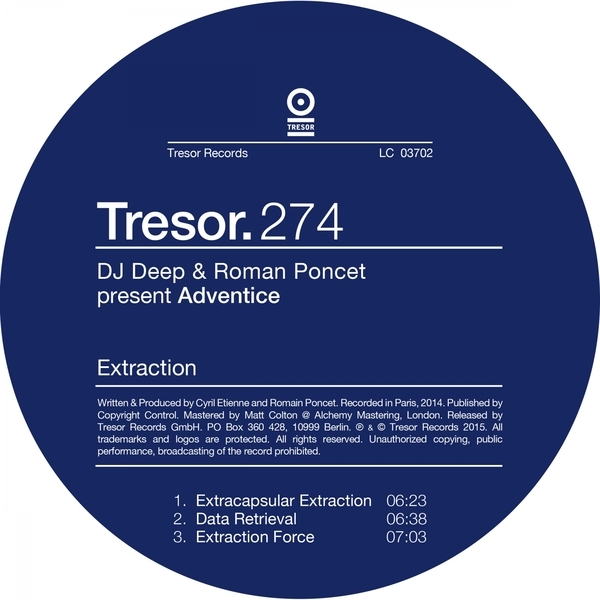 DJ Deep and Roman Poncet's debut collaboration sounds like that dream where you're dancing into a headwind around Tresor, and then realise you forgot to put your keks on. 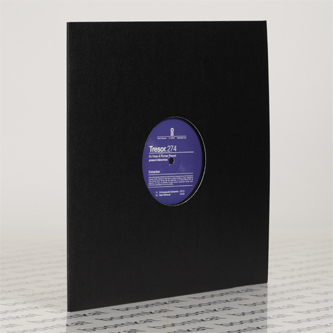 It's the first of two EPs from the duo, and deals in proper, heads-down techno ranging from the shuddering, tunnelling exercise of 'Extracapsular Extraction' thru the slinkier momentum of 'Data Retrieval' to the tightly dubbed flux of 'Extraction Force' for those that know. We look forward to part 2.